I’m super excited to be teaching my first ever workshop this April! It will be part of “A MidSpring Night’s Dream”, a weekend event created by Lisa Kettell, of Piddlestix, right here in Lafayette, NJ. 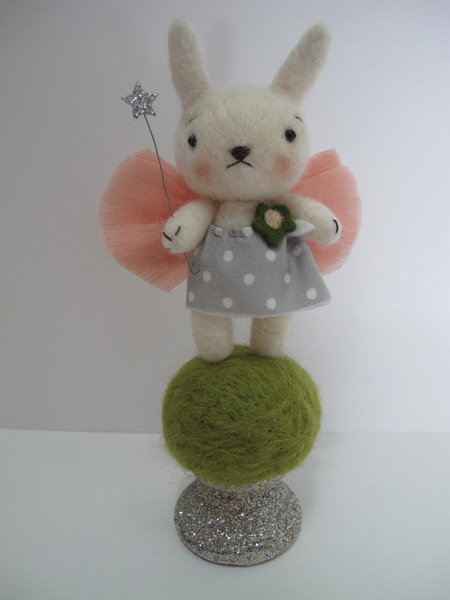 I’ll be teaching everyone how to make this little fairy bunny. Most all of the materials will be provided (details to come) and at the end of the 4 hour workshop, you can go home with your own sweet bun-bun. Teena Flanner and June Ann will also be teaching , and there will be tons of great food, mingling, and shopping opportunities! I’ll also be doing a book signing at the Friday night vendor soiree, where you can also purchase work by some great artists. It’s April 7-9, 2011, and all of the info can be found on Lisa’s blog. One Response to spring workshop! 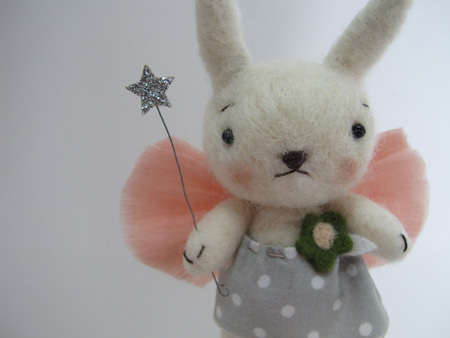 The fairy bunny is adorable. What a great workshop.